Three trends in technology are poised to make significant impacts in medical care, and by the nature of our relationship to that industry, in workers’ compensation itself. The continuing advancements in miniaturization, artificial intelligence and robotics will give us unparalleled opportunity to improve care and achieve more satisfactory outcomes. Eons ago someone, somewhere came up with the phrase, “Good things come in small packages.” While the origins of that phrase are completely unknown, whoever first uttered the thought had no concept of how right they would be, especially in the age of technology. I recently had an elderly relative receive a pacemaker. This pacemaker is unlike any I had ever heard of. There is no “pocket” cut into the chest of the patient to hold the device. There are no leads subject to corrosion or infection. And there are no restrictions regarding microwaves or any other appliance concerns. 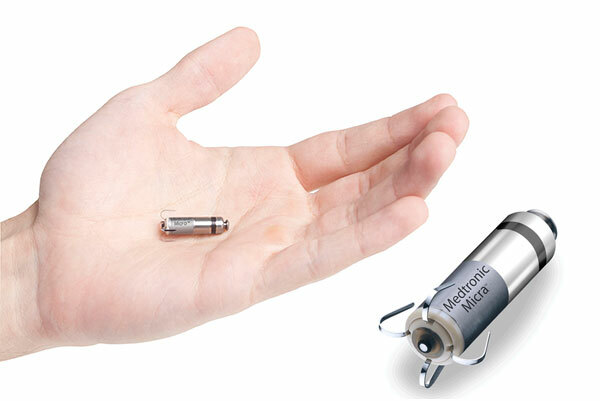 This pacemaker is a Medtronic “Micra,” and is a whopping 1 inch long and one quarter inch round. It is implanted directly in the lower chamber of the heart during an outpatient procedure. There is also no chest incision; this device is installed via the femoral artery, similar to access for an angioplasty. The battery lasts ten years. And a separate monitoring device can transmit performance statistics to a central station on a quarterly schedule. That is just one example of the miniaturized devices that are revolutionizing medical care. A slew of wearable apps and devices is on the horizon, allowing doctors to monitor a patient’s condition, giving them detailed information and allowing a more accurate diagnosis. Google X and Novartis are working on “smart contact lenses” that can monitor glucose levels and transmit the data to a linked smart phone. A product called the Zephyr Anywhere’s BioPatch can be put on a patient’s chest to deliver real-time data to their providers. According to the manufacturers of this FDA approved device, the patch can send alerts to doctors on a multitude of devices, from desktop stations to smartphones or smart watches. A hearing aid called the ReSound LiNX2 allows a patient to control their hearing through a smartphone app, allowing for a more customized solution for the hearing impaired. And a variety of remote biosensors are already improving data collection and medical decision making around the country. All of this will translate into more accurate care with improved response time and better decisions. The upfront cost will not be cheap; the market for medical wearable devices is expected to be around $12.1 billion by the year 2021. However, these technologies should produce better healing and reduced lost time for many serious injuries, so it will be an investment well worth making. And for those men who are concerned about the onslaught of wearable electromagnetic devices attached to your body, well, inventors have you (literally) covered there as well. They have created the “Spartan Boxer Shorts”, which are “wearable technology designed to protect men from the side effects of the IOT revolution.” They will apparently shield your family jewels from electromagnetic radiation that wireless devices can emit. Those emissions are believed to potentially reduce fertility in men, and these shorts are said to block up to 99% of that radiation. It’s nice to know that technologists seem to be thinking of everything – although I’m not sure what the billing code will be for lead lined undies. I hope they weigh less than the vests they throw on you when you get an x-ray. Regardless, it is clear that technology will be making a huge impact on the medical care our industry provides. Let us hope that the reality will live up to the expectations that have been set.